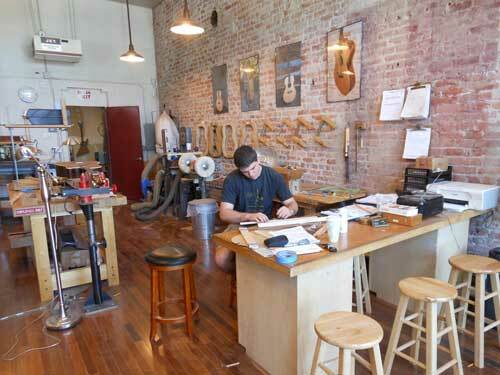 Seasoned Luthier Al Calderone specializes in one-to-one instruction in the art, science, and craft of constructing high-quality, hand crafted guitars -- from the basics of acoustic design and construction to more advanced skills such as voicing the top, sculpting the neck, and the art of finishing. 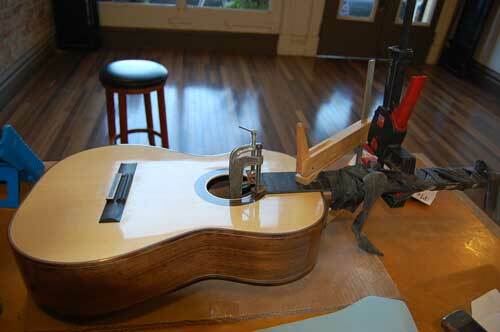 The cost of the course is $3,200.00 which includes instruction, basic materials, tools and shop use to build one acoustic, steel string guitar. Students who choose to "pay as you go" one session at at time (full day sessions are $130 and 1/2 day session for $75) will need to purchase their materials separately. 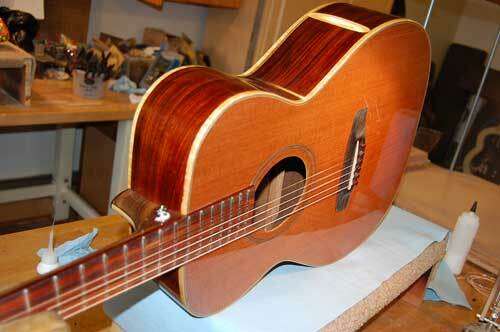 Depending upon a student's schedule and the hours invested, making a guitar can take anywhere from three weeks to over a year. Recognizing that individuals often must negotiate around busy work schedules, ARC Guitar prides itself on its flexibility accommodating its student's' schedules, from only a few hours a week to nearly full time. The studio is open five days a week, and scheduling is simple. Intensive three week classes are offered several times a year for those who wish to build their guitar over a condensed time period.